Margaret (Serra) Sisco, 83, of Westerly, passed peacefully at her home on Monday, October 1, 2018 surrounded by her loving family. She was predeceased by her parents Patrick and Elizabeth (Capalbo) Serra, and her sister, Patricia Serra. She is survived by her husband of 53 years, Anthony F, Sisco, Jr. of Westerly; her brother, Joseph (Michelle) Serra of Bradford; her four children, Lisa Germaine of Watervliet, NY, Ann Sisco of Westerly, Anthony F (Meg) Sisco III of Westerly, and Dean (Jacqueline) Sisco of Royal Oak, MI; her five grandchildren, Caroline and Emilee Sisco, and Cory, Cameron, and Christian Germaine; and many nieces, nephews, and cousins. Margaret was born in Bradford, RI, where she grew up on the family farm. After moving to Westerly, she graduated from Westerly High School in 1953 as Class Secretary. She worked as a bookkeeper for her father’s excavation business and as a bank teller at Industrial National Bank. She married Anthony in 1965 and became a devoted mother who was very involved in her children’s school activities, including becoming PTO President at the Tower Street School. Later, she became an active member of the Westerly High School Sports Boosters. 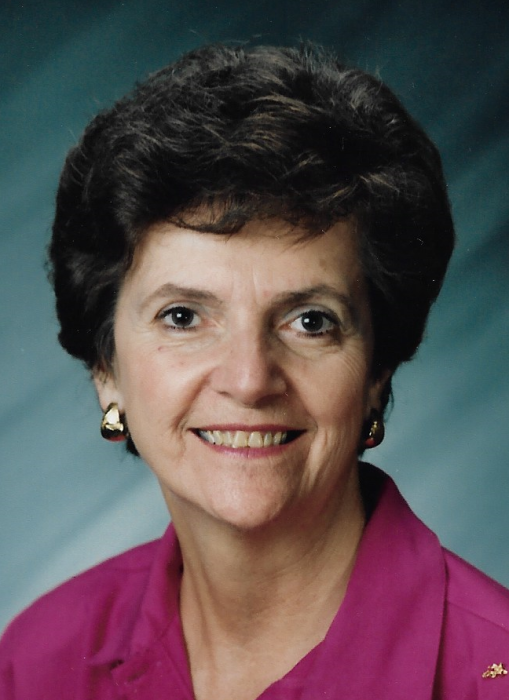 She enjoyed being involved in the school system so much that she worked as a secretary throughout the Westerly School Department for twenty years before retiring in 1997. Margaret was a devout Catholic and member of Immaculate Conception Church. Margaret enjoyed spending time with her family and lovingly watching her grand kids grow into fine young adults. She loved cooking and baking for her family, especially her famous anise “Nanie” cookies and the traditional Christmas Eve Feast of the Seven Fish. She was active in planning her high School class reunions and loved connecting with old friends. She was a talented seamstress and crafter, attending many holiday craft fairs over the years with her sister. She also enjoyed gardening, bowling, reading, and collecting wooden nutcrackers of all shapes and sizes. Margaret was a kind and compassionate woman, with a wonderful smile and a quick wit. Margaret’s family would like to thank the extraordinary home health care workers who helped to make her final year one full of laughter, love, and happiness, especially Nancy, Madisyn, Amanda and Anita, as well as Jackie, Anna, Trish, Hannah, Jocylin, Heather, Tessa, Cierra, and Susan; and the amazing staff of the Westerly Adult Day Center. A Mass of Christian Burial will be held on Saturday, October 6, 2018 at 10:00 am at Immaculate Conception Church, 111 High Street, Westerly. There will be no procession from the funeral home. Burial will take place at St. Sebastian Cemetery, Westerly. Calling hours will take place on Friday from 4:00 pm - 7:00 pm at Rushlow-Iacoi Funeral Home & Crematory, 64 Friendship Street, Westerly. In lieu of flowers, donations in Margaret’s name may be made to St Vincent de Paul Society, c/o Immaculate Conception Church, 111 High Street, Westerly, RI, 02891.